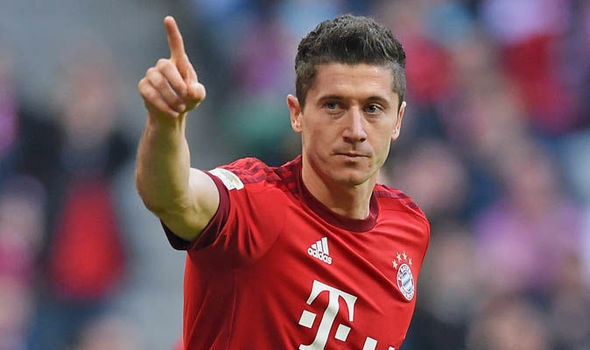 It is been reported that new Bayern Munich trainer has asserted that the Bavarian forward will not be joining the Blues this summer amidst links of the player to chelsea. Chelsea have been quiet in the transfer market having signed just two players in Jorginho and Rob Green. The club was recently linked with a couple of signings but seems to be finding recruitment of players a little challenging in this transfer window that has less than two weeks to shutting. Testament to the above assertion is the reported failed attempt of Inter Milan Mattias Vencino, Juventus Rugani and Gonzalo Higuain and now Robert Lewandowski. According to reports, Bayern Munich boss Niko Kovac has said that the Polish forward is going nowhere amidst serious interest from the London club. This will be a big blow to Chelsea because their forward line looks a little thin with only Giroud and Morata – who is out of sort in the premier league, as their attackers. Michy Batshuyi and Tammy Abraham are also on Chelsea’s roster and Italy is a particularly difficult market. Disappointing for you there is still time to boost our squad and our squad has also has Hudson Odoi, Bulkin and Ampadu so don’t get to carried away with Chelsea’s demise.